Granted, maybe we’re a little slow. But this seems to be pretty clear: You make a cake, and it’s meant to be eaten. Otherwise, what’s the point of making a cake, no matter how beautiful (or realistic?) it is? 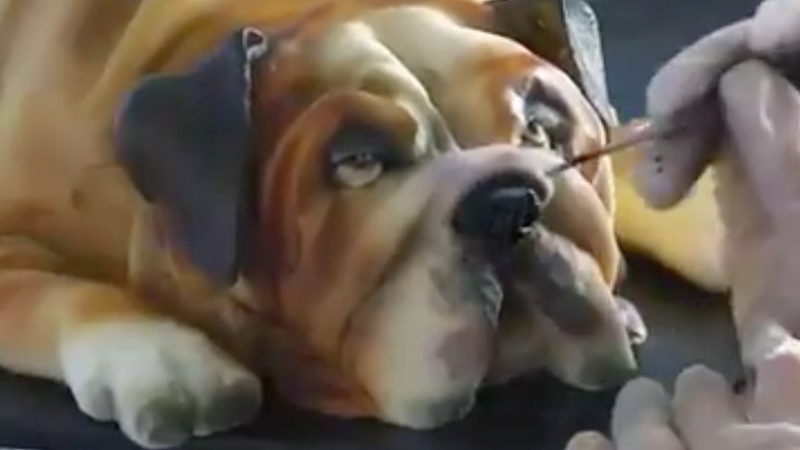 Nevertheless, truly gifted cake artist The Cake Illusionist is under fire because her lifelike food sculptures of animals like dogs and horses will eventually get cut up into smaller pieces and gastronomically enjoyed. We are inclined to agree. These are not actual animals. What is the problem?